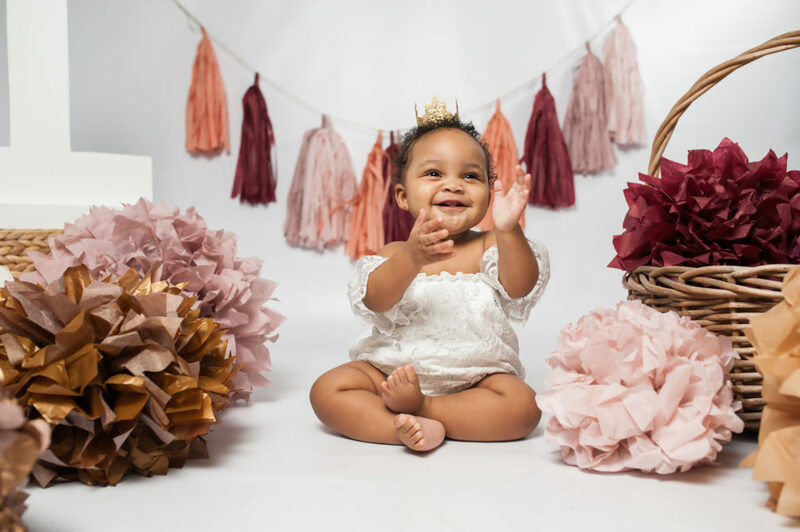 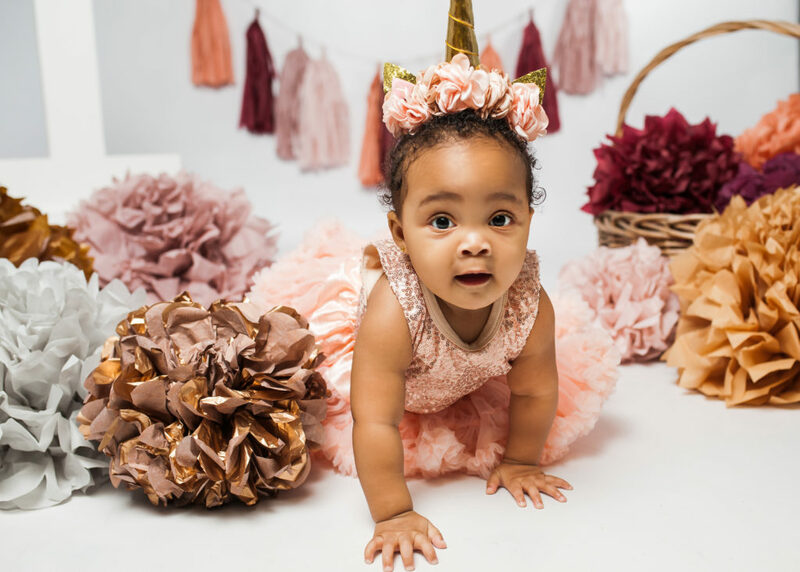 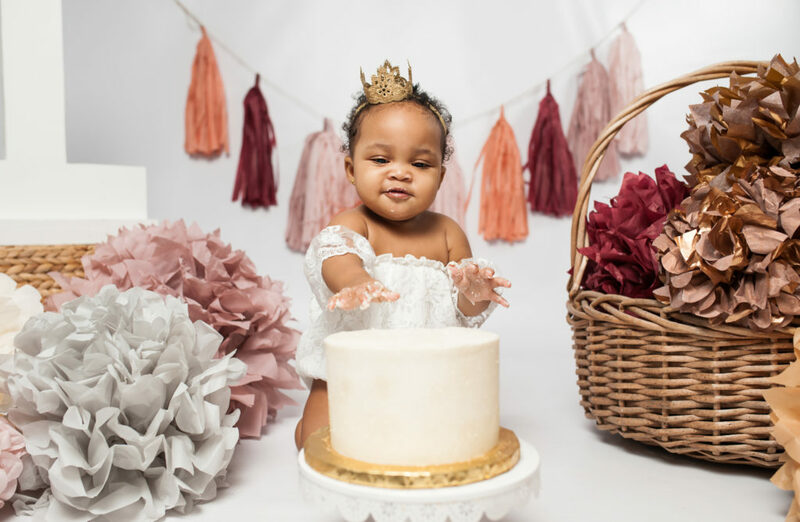 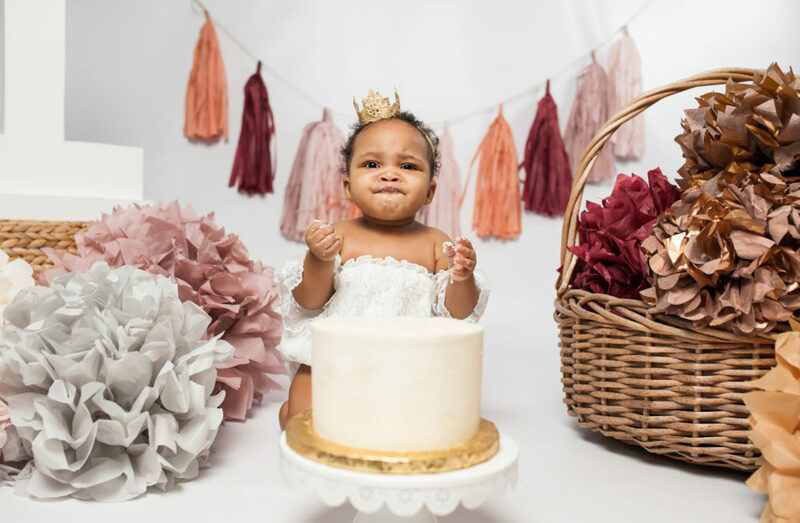 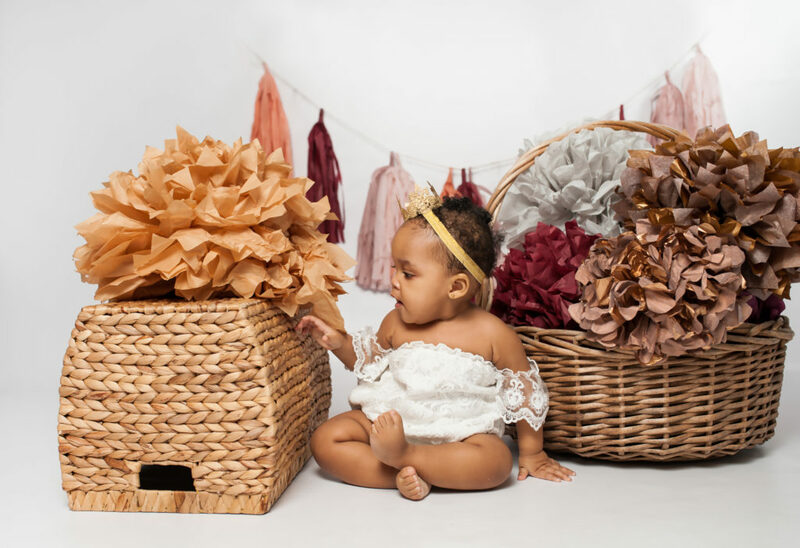 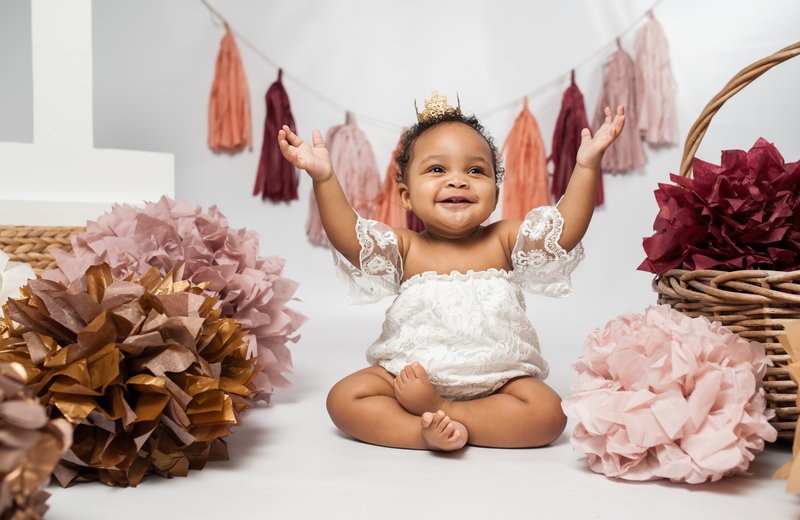 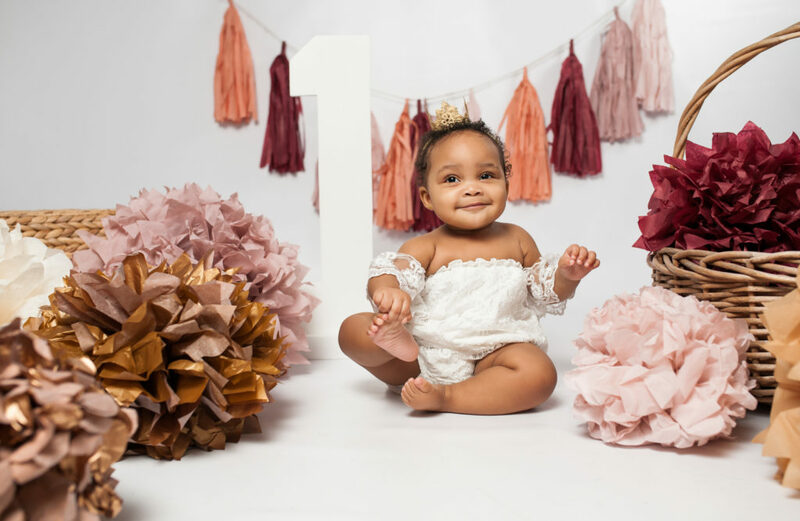 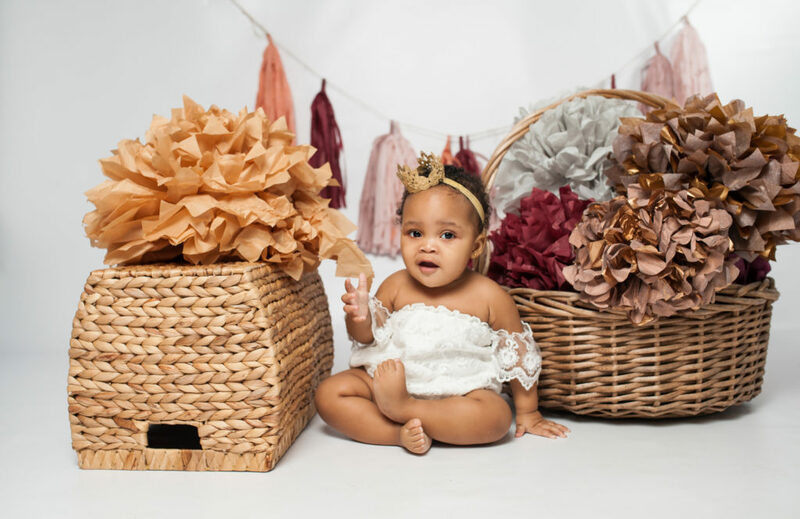 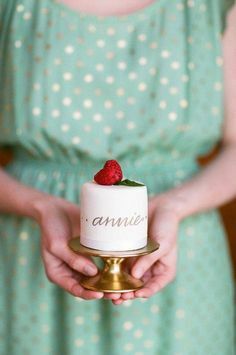 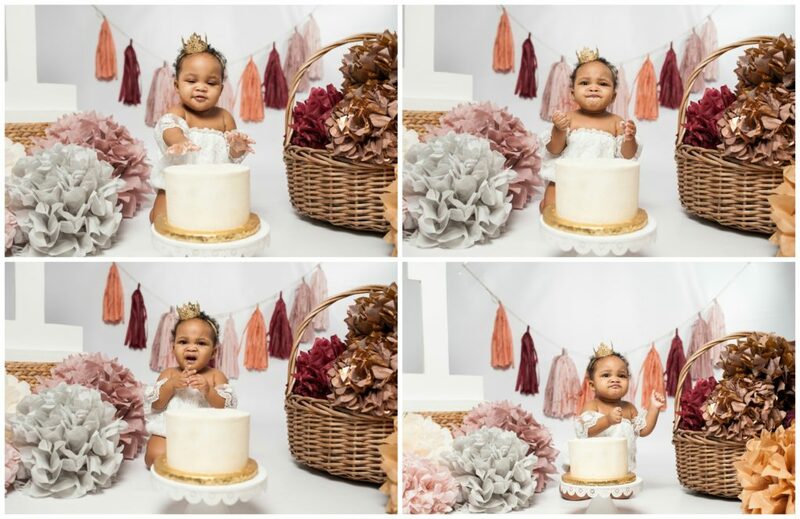 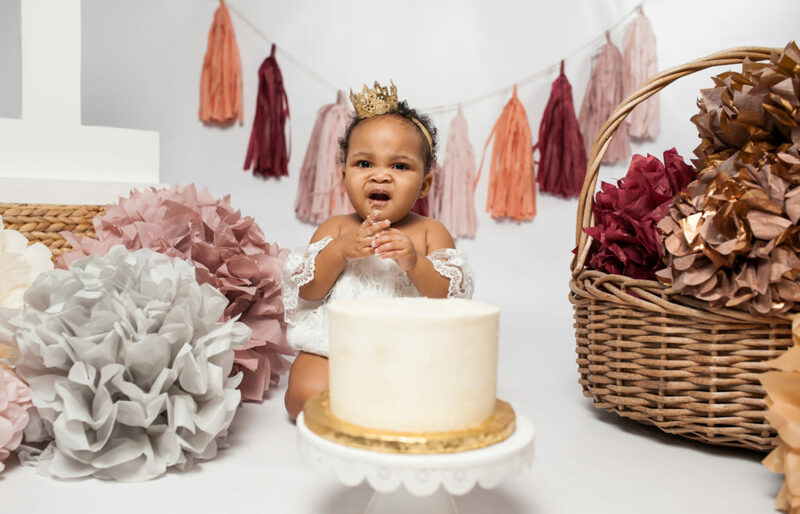 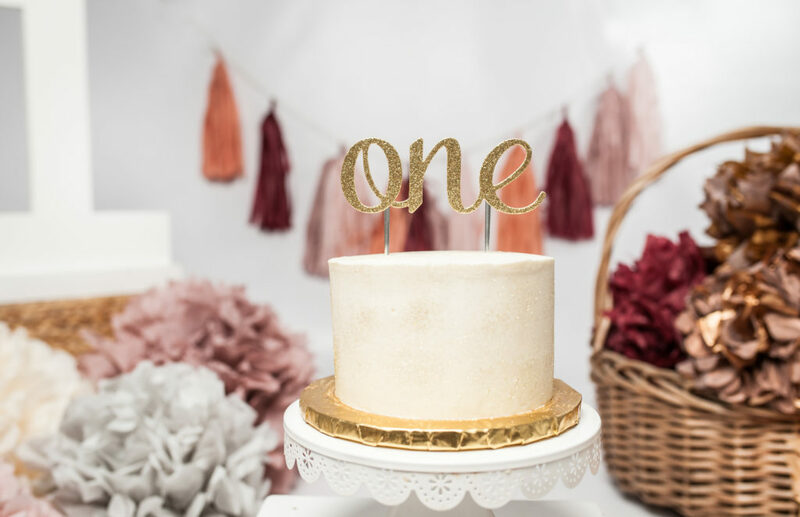 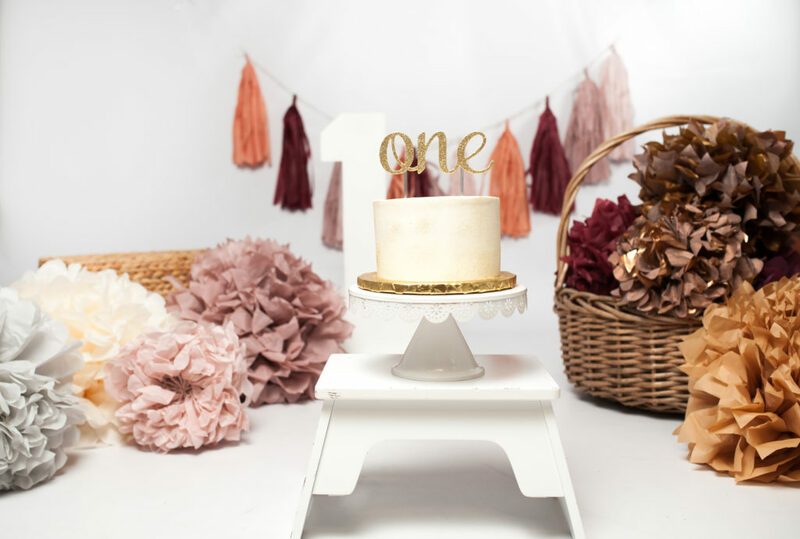 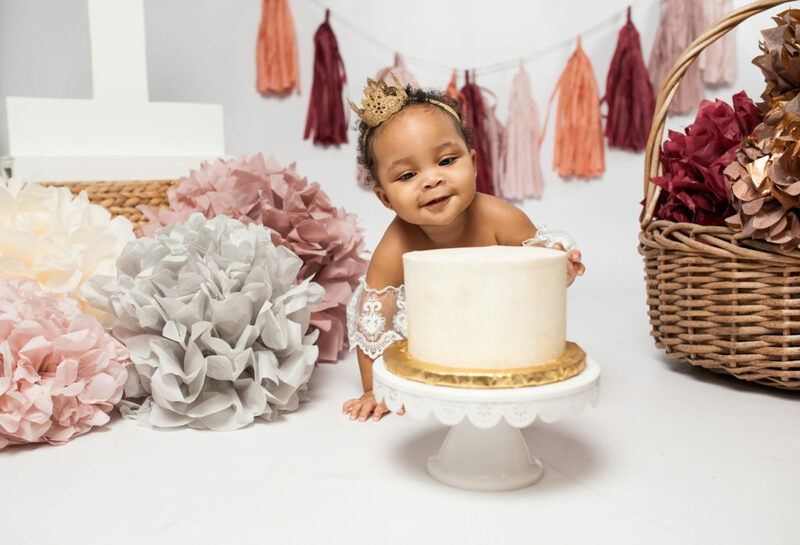 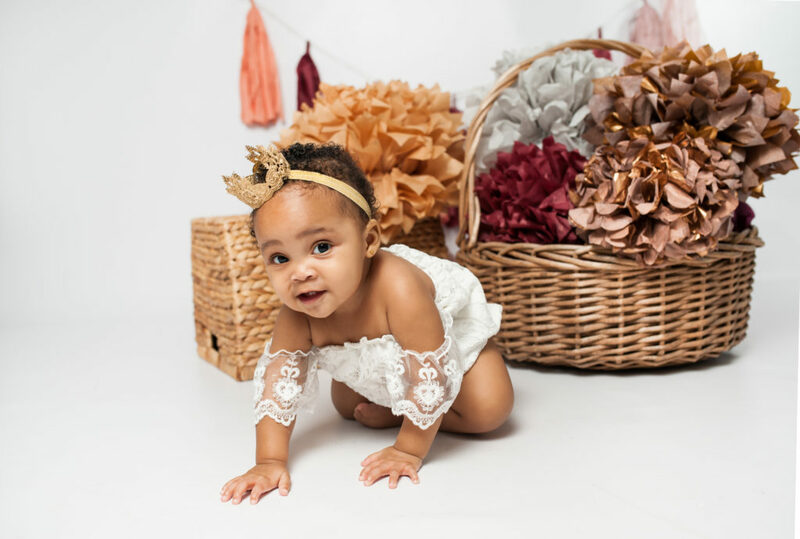 Little Ms. Brooke turned one recently and in full celebration mode a photo shoot was a must! 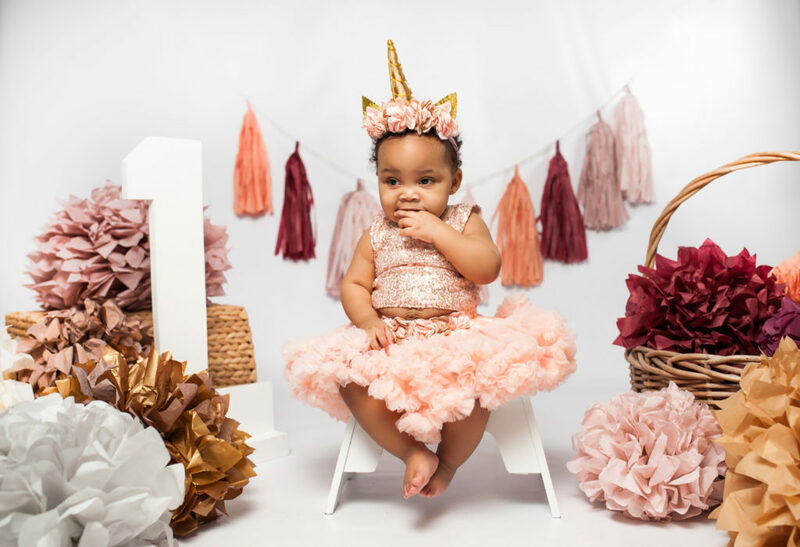 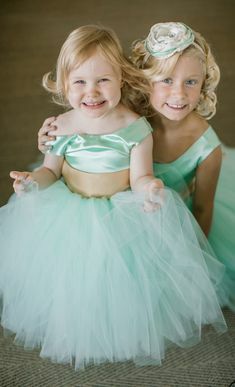 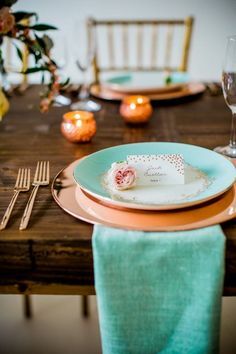 For the first look Brooke wore a rose gold sequin top that coordinated beautifully with a blush pink tutu skirt. 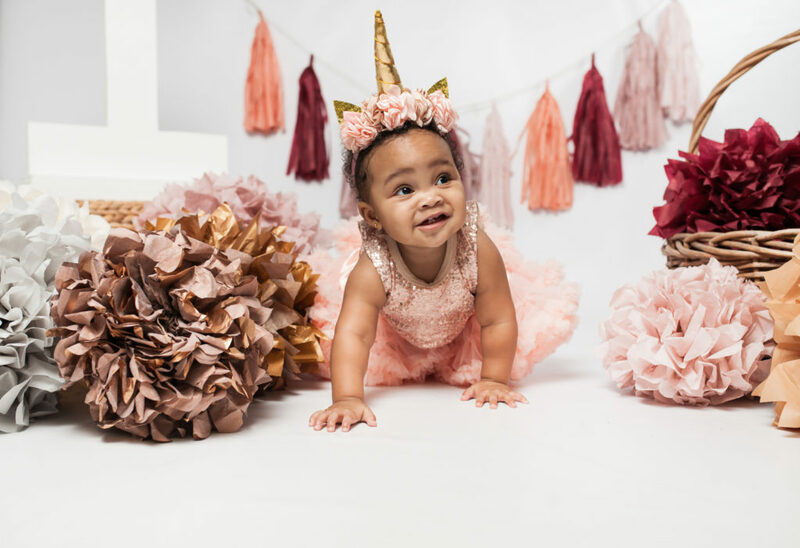 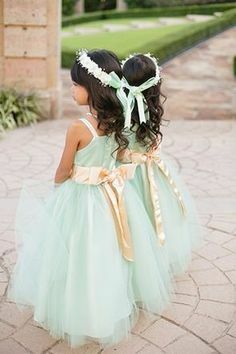 To top off her look Brooke has a pink flower crown with a gold unicorn horn! 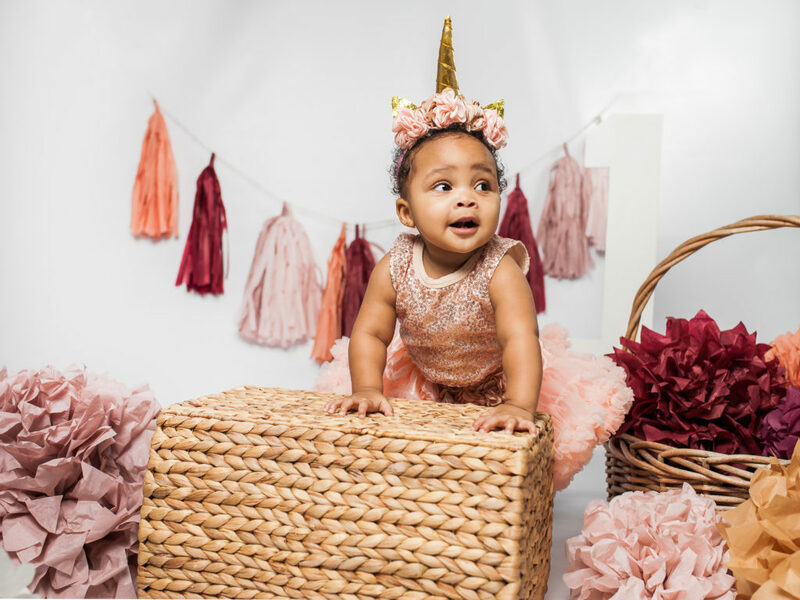 The second look was a lace romper. 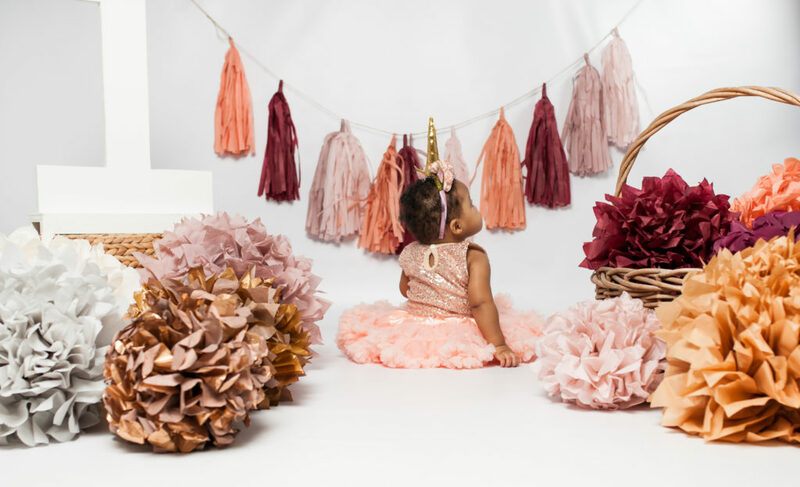 In both outfits Brooke was surrounded by plum, gold and peach pom poms. 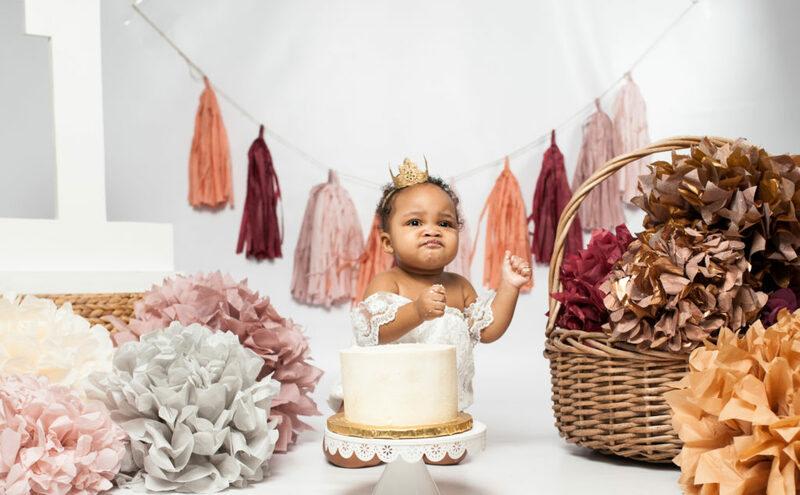 Once the cake came out Brooke was in her element. 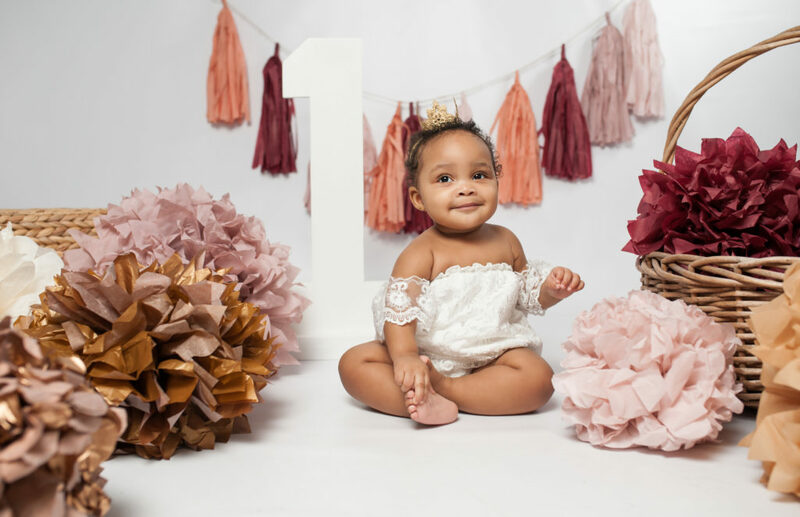 Happy first birthday Brooke! 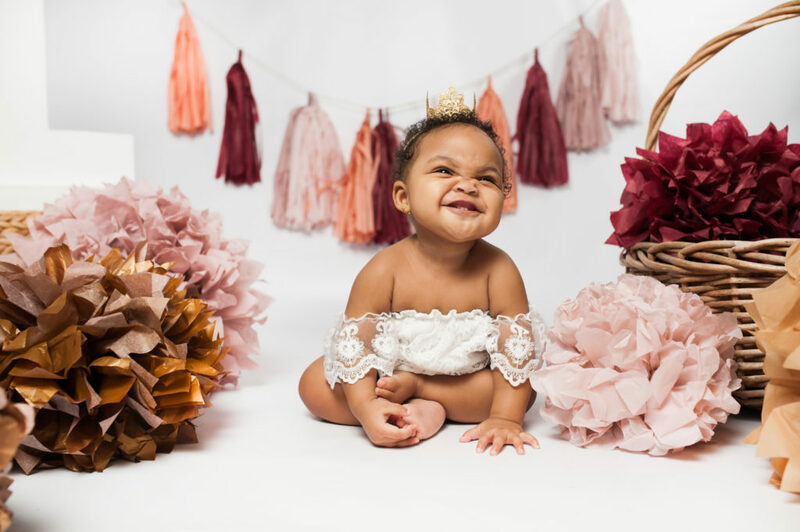 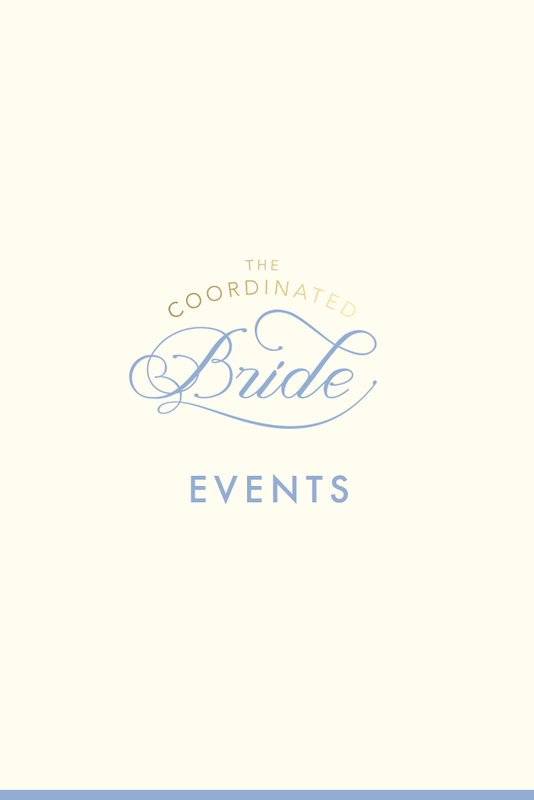 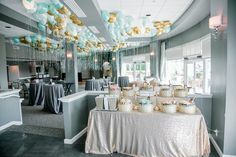 All images by KFinch Photography.